Green Thumb Nursery located in Canoga Park prides itself on the quality plants and outstanding customer service it provides. Our Green Thumb Nursery Canoga Park store is known for unique and popular plants, friendly garden experts, and beautiful garden decor. 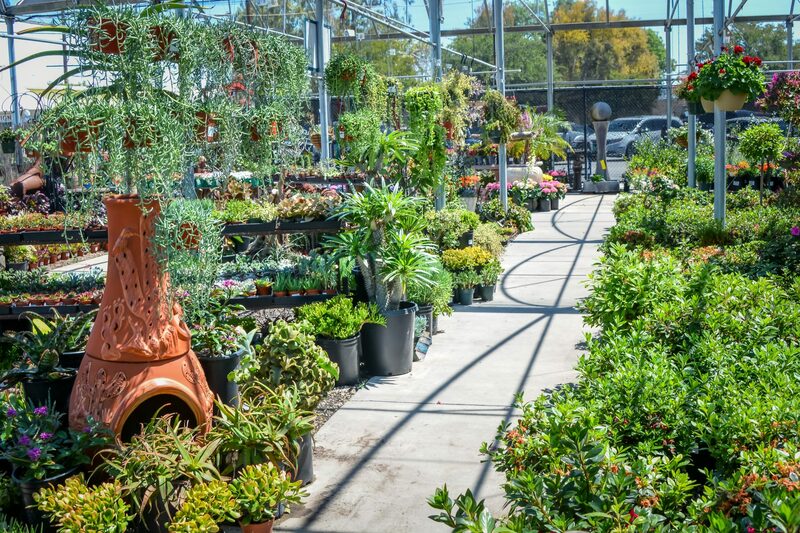 The huge selection of drought-tolerant plants, fruit trees, beautiful vibrant flowers, water plants, perennials, annuals, succulents, and more make Green Thumb Nursery the perfect garden destination in Los Angeles County! 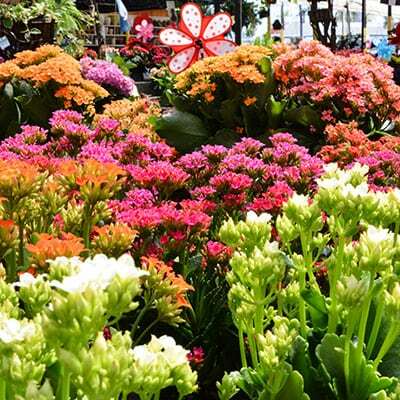 Flowering plants for the home or gifts include Azaleas, Chrysanthemums, Hydrangeas, Gardenias, Orchids, Cyclamen, Roses and many more. The Canoga Park location has many xeriscaping solutions with hundreds and hundreds of options for drought-tolerant plants and water-wise plants including succulents and cacti. 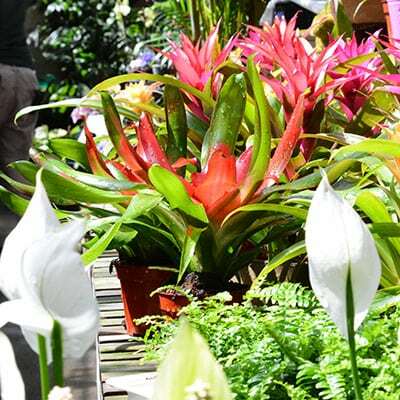 The Green Thumb Nursery greenhouse regularly hosts some of the most exotic houseplants from all over the world. 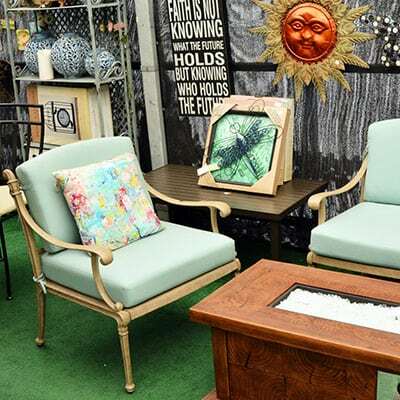 Our Patio Shop includes casual furniture sets, umbrellas, replacement cushions, benches, Bar-B-Ques (BBQs) & accessories, rain covers, outdoor decorative flags, gift items, Department 56 collectibles and a vast amount of holiday and seasonal decor including Christmas, Halloween, Mother’s Day and more! Green Thumb provides the highest quality plants available. We are so confident in our plants that we offer a 90-day guarantee. If your plant is failing just bring the plant back to us with your original receipt (required) within 90 Days of your purchase and we will replace it for free. Your satisfaction is our main priority at Green Thumb Nursery. Due to growing conditions beyond our control we are unable to guarantee housplants, indoor floral & annual color or specimen plants (trellises, topiaries and shaped shrubs). If you have any questions or concerns about your plants please call and ask us! We will do all that we can to help! Thanks for visiting the Green Thumb Nursery Canoga Park store page. If you have any other questions or concerns, please visit our Green Thumb home page located here and we will be able to help you further. One of our oldest Green Houses, Canoga Park has a beautiful selection of indoor plants for your to choose from! Click the photo above to see all of the different kinds of plants that we carry in our store. Enjoy your weekend with one of our beautiful outdoor patio sets that you will love for decades! Click the photo above and see all of the different kinds of outdoor patio products that we carry. Green Thumb Nursery Canoga Park is proud to have such a beautiful selection of top quality outdoor plants for your liking. Take a sneak peak of the plants you will find at our store by clicking the photo above.